My personal in-office experience of patients that present with pain after a motor vehicle injury is consistent with a 2010 study by Hincapié CA, et al. I find most patients report pain in multiple body areas and that isolated neck pain is extremely rare. Hincapié CA, et al report 86% of 6481 Saskatchewan residents that responded reported posterior neck pain, 72% indicated head pain, and 60% noted lumbar back pain. Ninety-five percent of claimants reported some pain within the posterior trunk region, comprising the posterior neck, shoulder, mid-back, lumbar, and buttock areas. Regarding cervical rehab for these patients, in the past I’ve used everything from bodyweight isometrics and elastic Thera-Bands to strengthen the neck; dumbbells and kettlebells to strengthen the upper body; low load exercises for strength and motor control concepts performing 10 repetitions of deep neck flexor activation against an inflatable blood pressure cuff and a whole lot more. All of these are effective at reducing acute and chronic neck pain. Oh, I can’t forget teaching patients all the foam rolling, stretching, warm-ups and cool downs I can get them to do. I can probably do an entire seminar on rehab compliance at this point. My treatment choice has always depended on the individual patient, weather they are young or old, active or inactive, conditioned or de-conditioned. Truthfully I don’t see a significant difference between the different treatments modalities. Most patients obtain clinically important improvements at 6 weeks after the beginning of treatment and exercise programs. I think that is in line with what most practitioners were taught to expect. However, I still see that 10% (plus or minus) or so of clients take a lot longer than 6 weeks to resolve and have on-going residual complaints and problems. On the other hand, I love treating chronic pain patients that come into my office that were not originally treated by me – those who had previous chiropractic care, acupuncture, medical care or physical therapy without active rehab (they just received passive modalities). With some new tweeks on rehab, I expect good results with these individuals. My hands-on treatment over the past few years seems to include more cervical mobilization (stair-stepping technique), lower cervical manipulation (rather than upper cervical manipulation), thoracic manipulation, and I continue to do a lot of specialized deep soft tissue therapy for pain reduction. The deep tissue work is especially valuable to the upper cervical region. 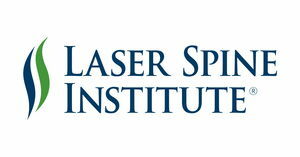 Over the last few years, I’ve added warm laser, but it is so unpredictable who will benefit and change and who doesn’t, I’m losing interest in the whole “laser” thing for the cervical region. One of the most helpful things I’ve learned in the last five to six years is Dr. Kim Christensen’s Neuromobilization technique. If you have a patient with radiculitis, this technique can produce some clinically important reduction of pain immediately post-treatment. The biggest changes in my cervical treatment come in my rehab. Helpful strategies in the past several years include using the NASM protocol for the ‘overhead squat’ as a diagnostic tool and treatment guide, and using the Functional Movement Screen (FMS) as a predictor of risk for injury. Manual therapy: I am spending a lot of personal thought and patient time figuring out exercises to influence the fascia – that thin fibrous layer consisting of longitudinal and transverse connective tissue fibers. Restrictions seem to show up everywhere. Along the sacrotuberous ligament, the thoracolumbar fascia, the latissimus dorsi muscle, the spinous processes of all of the thoracic vertebrae, the angles of ribs, the serratus muscle, the splenius capitis muscles and the deep fascia of the neck. Balancing (sensorimotor training) exercises: I begin sensorimotor training as early as possible. I start patients standing with a narrow stance, progressing to tandem stance and single leg stance. The progression includes the use of foam under each foot to augment postural instability. Manipulate visual inputs (focusing on a point 2 meters away on the wall at eye level and under, with eyes open (EO) plus eyes closed (EC) conditions. I use 30 second bouts. Stretching exercises: Mobility needs to be taught before stability. We have to reduce neck/shoulder stiffness and enhance neck range of motion. The levator scapulae, suboccipitals, SCM, pectoralis minor, and scalenes continue to be at the top of the list. I am enjoying using the stretch strap from Theraband. Strengthening exercises: I still go after the deep neck flexors (DNF). Sometimes I begin with the head positioned against gravity to enhance isometric strength of the neck extensor muscles. I still do typical strengthening exercises for the paraspinal muscles and shoulder girdle muscles (upper and middle trapezius, rhombo-serratus). These exercises help increase the sustained isometric effort tolerance of the neck muscles. Progression includes unstable surface and escalating resistance and movement pattern improvement. I progress my corrective exercise strategy starting with bodyweight, progress to Therabands resistance, then progress to free weights and kettlebells. Oculomotor and head/eye exercises: In the upright, sitting and supine positions I teach patients eye tracking while moving the head. This involves coordination exercises and re-establishing proper movement patterns. The progression includes increasing neck rotation amplitude, instability on a stability ball and augmenting neck muscle activity with the head in a weight-dependent position. Anatomical action of longus capitus and colli (cranio-cervical flexion) nods the chin. Sternocleidomastoid (SCM) extends the cranio-cervical region and flexes the neck. During the overhead squat I seem to find a lot of overactive SCM, anterior scalene, and suboccipital muscles. Scalenes & hyoids can be short, limiting cervical extension. Hyoid stretch: teeth touching – extend the neck – open mouth & your head extends further. The stretch is close the mouth = fascial stretch of hyoids. To find out if it‘s articular, perform the chin tuck & extend the cervical spine over the upper thoracic region. The head & neck are passively positioned in neutral alignment, then the patient actively moves (turning side to side, looking up & down) & attempts to return to neutral position. Perform this procedure twice. Notice if they can come back to the neutral position. Good= the patient accurately & confidently returns to the neutral position both times without making adjustments. Average=the patient returns to neutral position with reasonable accuracy but lacks confidence – may need to make several adjusting movements or is “not quite sure”. Poor= the patient cannot return to the neutral position and is often very unsure of the correct position as evidenced by the vacant facial expression that frequently is associated with performing this test. I’m sure there are dozens of specific treatments, exercises, and natural remedies out there for our patients. I’d be interested to know about them, but if you’re following the rehab model in all its facets – manipulation/mobilization, modalities, diet, activity, exercise, leisure, sleep, stress prevention – I think you’ll find we do so much good! I look forward to seeing you in Orlando 2011. I have new material to share with you. 1. J Occup Environ Med. 2010 Mar 30. Whiplash Injury is More Than Neck Pain: A Population-Based Study of Pain Localization After Traffic Injury. Hincapié CA, Cassidy JD, Côté P, Carroll LJ, Guzmán J. 2. Comerford lecture notes 2009.